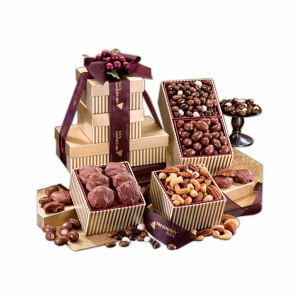 Food gifts, customized to your budget and quantity desires, make terrific gifts to share. Low minimums, delicious, quality ingredients save you shopping at a busy mall when time is short. This entry was posted on Tuesday, September 15th, 2009 at 5:08 pm	and is filed under . You can follow any responses to this entry through the RSS 2.0 feed. You can leave a response, or trackback from your own site.